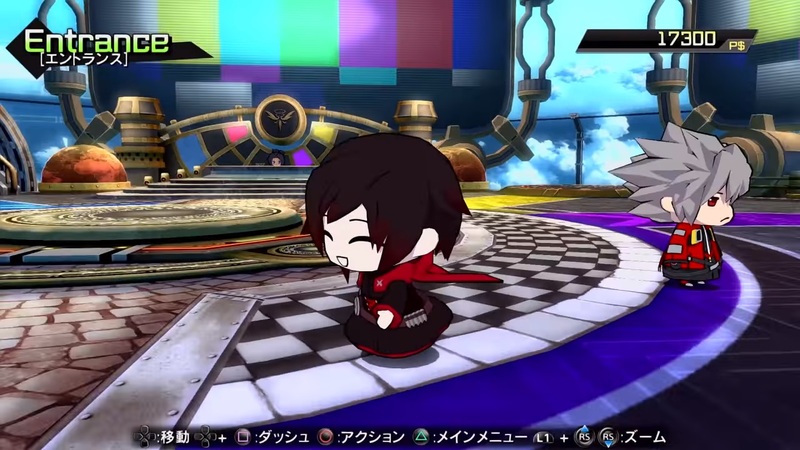 BlazBlue Cross Tag Battle was playable over the weekend, with a new playable build of the game appearing at anime conventions Sakura Con and Anime Boston, as well as the fighting game tournament Anime Ascension. This new build featured a number of new elements not present in previous event builds, such as unique match introductions for specific pairs of characters and, for the first time, the English dub. The new build is the first time the Under Night In-Birth characters as well as BlazBlue’s Es have been given English voices. There are also unique interactions between certain characters at the start of matches, giving the first look at how the characters from different series will be interacting with each other. People have compiled all the special intros seen so far into a single video, which you can see here. In addition to the English news, the official website for the game has been updated with information on Aigis, Carmine and Jubei, the characters revealed in the most recent introduction trailer. The update to the site also includes a new overview trailer, showing off the base cast as well as giving us a look at some animated sequences, the story mode and other singleplayer modes, and the online lobbies. Similar to the lobbies Guilty Gear Xrd or Dragon Ball FighterZ, the lobbies are rendered in 3D and players can select and customize an avatar to move around and interact or play with other players. Finally, this week will see another Arc Live English livestream, this time featuring Cristina Vee, the voice actress for Noel Vermillion and Nu-13, and the next ArcNama stream to reveal new characters will be on April 19. BlazBlue Cross Tag Battle is set for release on PS4, Nintendo Switch and Steam on May 31 in Japan and June 5 in North America, with a European release through PQube coming in the summer.